The Sales and Marketing Jam is a wrap! Here are lessons we wanted to share with our community. Big thanks to Kiwi Landing Pad and Sian Simpson for coming back to Christchurch and bringing all the brain food. Be sure to catch up with all the buzz on the #NZSMJ hashtag on Twitter. Speakers (l to r) Savannah Peterson, Tami McQueen, and Ned Dwyer speaking at the Roundtable Discussion. 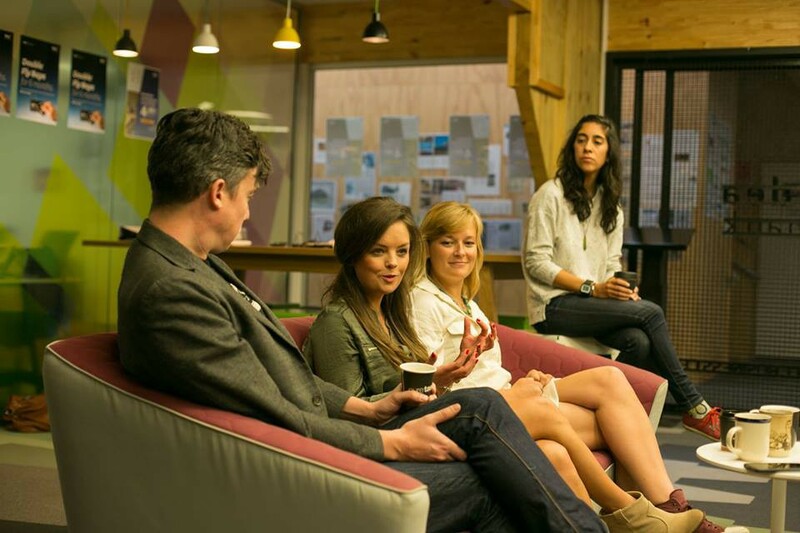 What is a Sales and Marketing Jam? 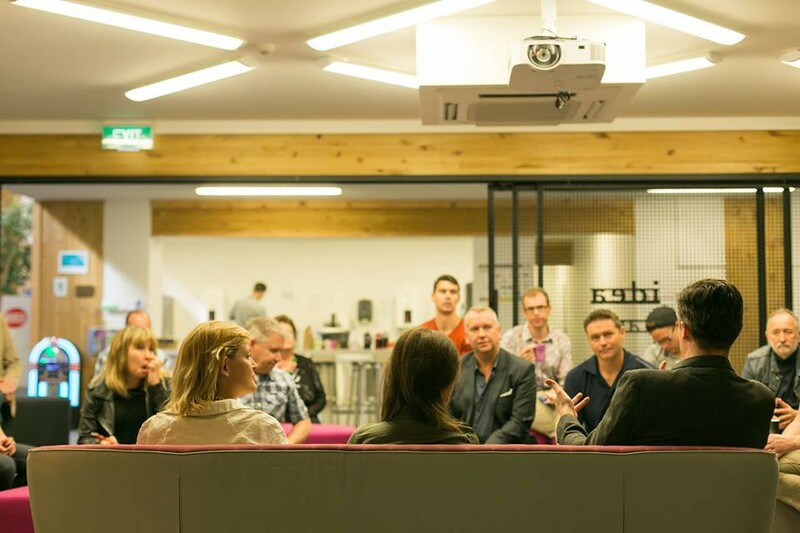 It’s where Kiwi Landing Pad (NZ tech startup’s first stop in the US) brings over experts to share their knowledge about all things sales and marketing related. 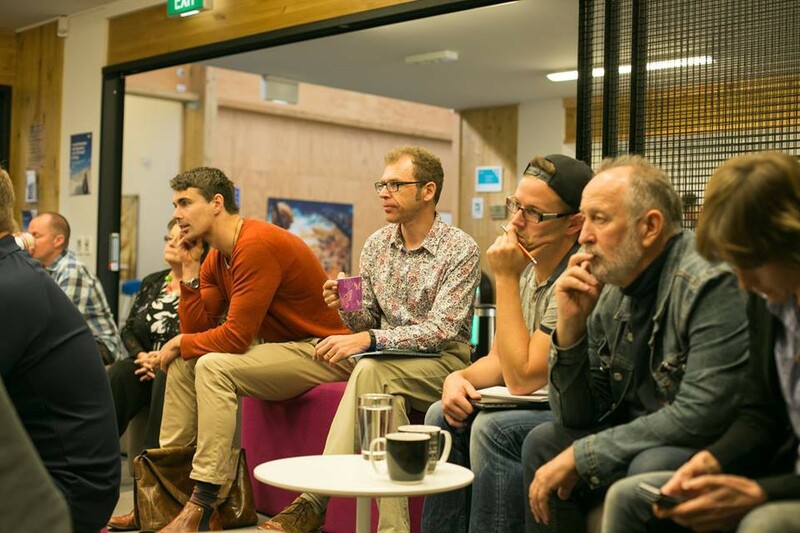 This year a panel of 5 from various levels of sales, marketing, product development and investment backgrounds were at the beautiful Christchurch Art Gallery Te Puna o Waiwhetu. The expert panel included Savannah Peterson (Forbes 30 under 30 unicorn), Tami McQueen (ATL-ien and woman behind world-famous guerrilla marketing tactics), Tristan Pollack (venture partner at 500 Startups in SF and a surprisingly tall fella), Ash Alhashim (VP Sales at Heap and Optimizely and my newest coffee friend), and Ned Dwyer (product manager, marketplace guru and egg-lover). The cool thing about these kind folks is they are heavy Twitter users so hit them up there! As an ex-pat from Atlanta (via NYC and Portland), it’s always nice to hear a familiar accent. Even better is when I’m not the only one telling people to “step it up” or “it’s a big world out there, aim higher!”. Kiwis suffer from what’s affectionately called the tall poppy syndrome. They won’t toot their own horn to save their lives. So for experts to come and drop some knowledge about what it’s like living, breathing, and failing in the US is kind of a big deal. Lots of the speakers live and play in SF but the conversation wasn’t just about one city — their advice spans the country (shout-out to Atlanta as the next hotbed for tech start-ups). Look at how attentive these founders are! (Roundtable Discussion). Some people in the crowd have never been overseas (one of the few questions they weren’t asked), let alone pitch their company to a potential investor or test the waters outside of New Zealand. Again, pretty big deal! We jumped right into the meaty stuff that morning — SALES! Ask for what you need. Ask the right person. And be specific. People are willing to help — you just gotta reach out. An example of this was today when I heard from a start-up in the audience. They pulled me aside to exclaim, “OMG! I’m so glad to have met Savannah! She’s our newest champion and is introducing us to all the right people in the US.” Just ask! Sometimes what you think is a sales problem is really a marketing problem (and vice versa). Is your sales pipeline big enough? Have you spent energy hiring a sales leader when you really need more account executives? Are you doing enough hustling as the founder? Don’t assume it’s the message or marketing just yet. Look at who your target market is and be sure you are where they are and asking them the right questions. Propose a solution to their problems. Ash Alhashim spoke about this a lot. As the VP of Sales at big companies, he’s seen that mistake more than a few times and shared some common errors young start-ups can avoid. It was nice to hear that the panel was impressed by the pitches in the audience and the caliber of talent in the room. Christchurch built a stronger reputation for awesome start-ups that day and I was proud to be in the room hearing from the amazing teams we’d worked with! Then the mic was handed to Tami McQueen. She began her marketing tips with the story about how SalesLoft, the company she currently works for, pulled off one of the most popular guerrilla marketing stunts at Dreamforce, a MASSIVE SaaS conference you can easily get lost in. Terms like growth hack and guerrilla marketing were thrown around a lot and I wondered if the audience really followed. But I loved the tip about amplifying your assets to your benefit. Use your newsletters, email lists, social media followers, etc. to your benefit. She had heaps of book recommendations we’ll post more about soon! Savannah Peterson also chimed in with tips on pulling at heartstrings and using your nest (the people who would do anything for you, people you should be taking care of and buying lunches for). Sian, our host of the day, asked a few companies to stand and pitch then pose a marketing problem to the ladies and see what could be created on the spot. It was brilliant! Marketing campaigns were created in minutes and got the energy in the room pumping. Smiling start-ups listening to the speakers. They tell great jokes! What I love most about this panel is they are real people. They aren’t stuck up. They take selfies. They tweet ridiculous memes about Drake. They drop f-bombs. They’re accessible, open, and honest. And their phone batteries drain just like mine and yours. It sets Cantabrians’ minds at ease about the daunting market of the US and makes us feel like there are people on their side. Even when Ned and Tristian talked about product and investment (something I don’t pretend to know about), it was engaging banter with nuggets of knowledge in between. They’ve all been there, done that and wanted to share their story. Ministry of Awesome gets involved in events like this because we want people to dream big and think beyond the four avenues of Christchurch and borders of NZ. We are also ambassadors to our city and want to stand up for people who wouldn’t normally do it themselves. It’s information I find incredibly useful to bring back to our community who wasn’t in the audience that day. 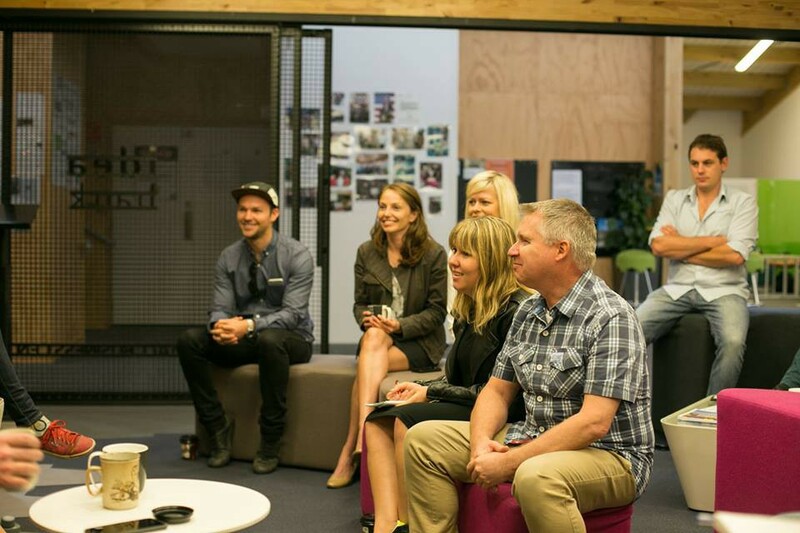 Kiwi Landing Pad is also a champion of Canterbury’s Innovation Ecosystem. Along with us, they are the connectors here and overseas! Thanks again to the team at Kiwi Landing Pad for another amazing event. If you’d like to hear more about awesome events happening in Christchurch, sign up for our newsletter on MinistryofAwesome.com. Catch you on the flipside! Watering the seeds of awesome in Christchurch, New Zealand!